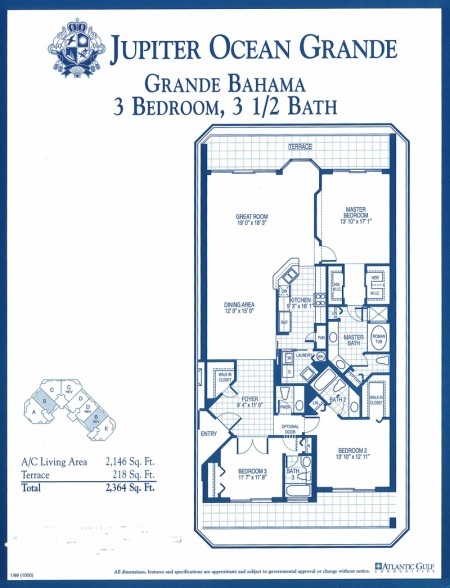 Jupiter Ocean Grande is Jupiter's premier, luxury oceanfront condominium. 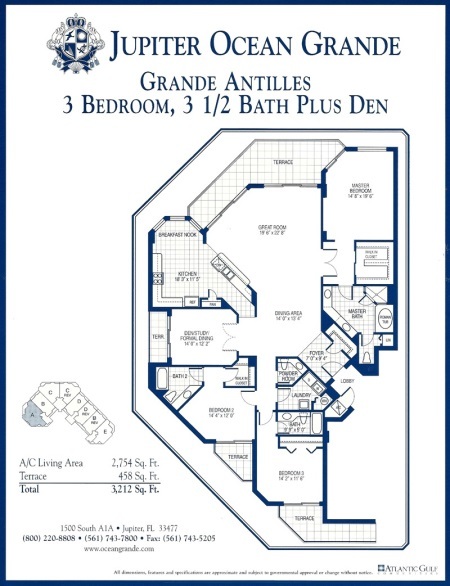 Built in 2001, each condo features 3 bedrooms ranging in size from 2,000 to 2,760 sq. ft., with open floor plans, 9' ceilings and unbelievable ocean views. The two direct oceanfront buildings - 131 and 221, are highly sought after for the great views. Jupiter Ocean Grande also features a beautiful pool area with16 private cabanas, a spa tub, 2 - tennis courts as well as two clubhouses with fitness rooms, billiards and a kitchen for parties. Large dogs are welcome in this condo, and the Jupiter pet-friendly beach is located just across the street. 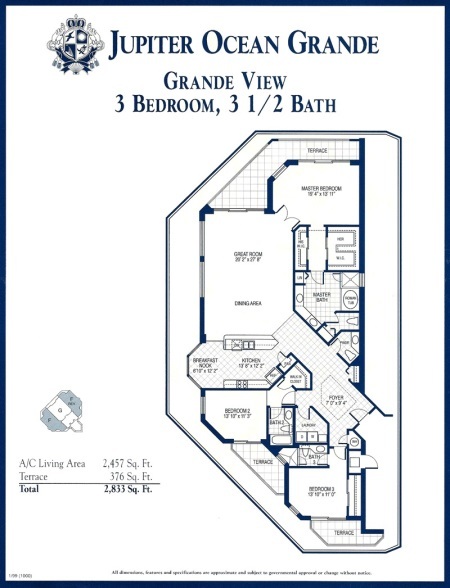 View site and floor plans, or research recent sales in Ocean Grande. 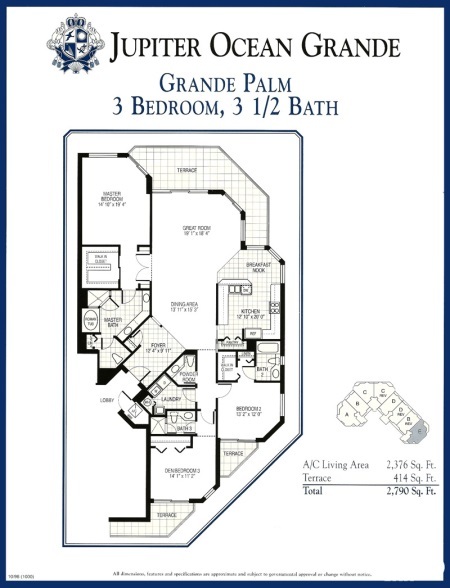 Browse condominiums for sale in Jupiter Ocean Grande, or read more about the amenities in this oceanfront property. Jupiter Ocean Grande condos offer several amenities including: two tennis courts, swimming pool, spa, private pool-side cabanas and a social room in each building. The two direct ocean condos have fitness centers, billiards, full kitchen for parties and a card room. 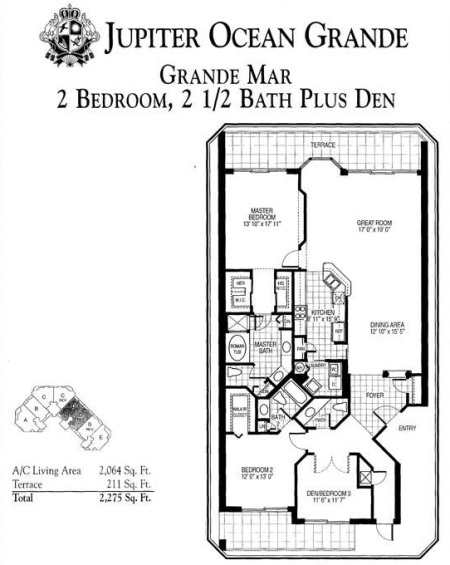 Jupiter Ocean Grande allows rentals in buildings 221 and 230. They have a 90 day minimum rental period. 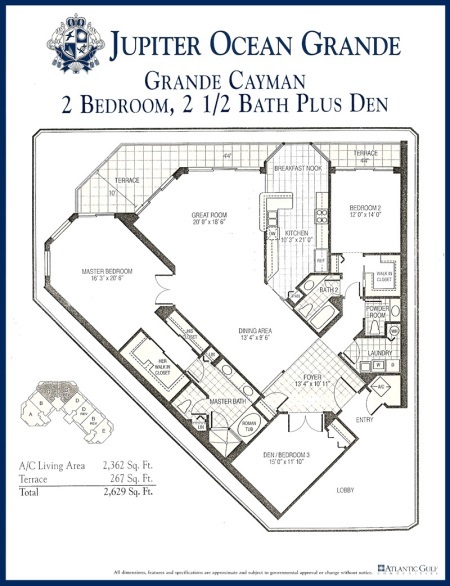 The Jupiter Ocean Grande condos feature underground parking for two vehicles which is very hard to find near the beach. Both garages are gated for security and there is a 24-hour manned security gate. A full time manager is on site along with maintenance personnel. JOG residents are located just minutes to restaurants such as Jetty's, The Square Grouper, The Food Shack as well as the movies and a local fitness center. The Jupiter Riverwalk begins close to JOG and the new Harbourside Place is minutes away. Enjoy the beach, biking and walks on the five mile stretch of A1A accessed right in front of your building. The Jupiter dog friendly beach is there as well. Stop in and see what this community has to offer for residents. Whether you're searching in Juno Beach or Jupiter, for the ultimate oceanfront condo, take a look at condos in Jupiter Ocean Grande. 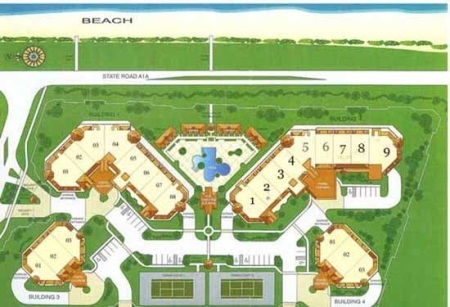 Jupiter Ocean Grande consists of four buildings sitting on the corner of A1A and Ocean Way. Next door you will notice Jupiter by the Sea and Oceancrest to the north. Behind, is Olympus, a wonderful beachside community of single family homes and quite popular. 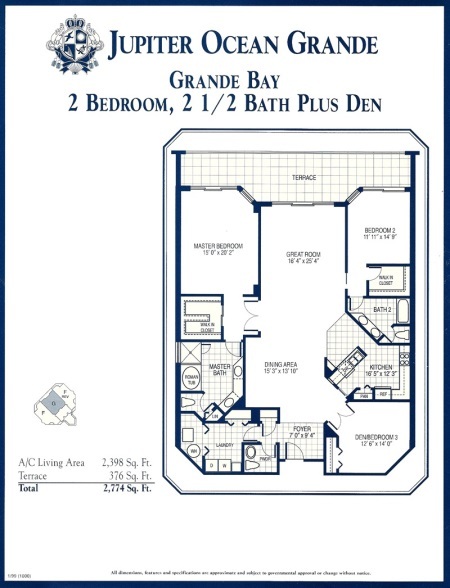 You will find several beachside townhomes and condos surrounding Jupiter Ocean Grande at a much more affordable price. Pet owners take a look at Jupiter One townhomes that allow large dogs as well and starting in the $300,000 range. No matter which Jupiter beachside community you want we can assist you in finding the best deals on Jupiter oceanfront condos including Jupiter Ocean Grande. 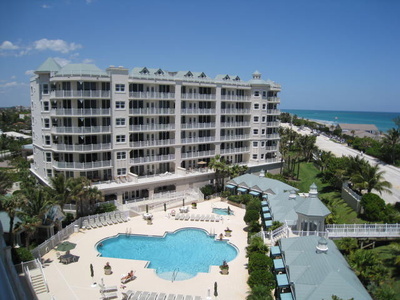 Take a look at Ocean Royale which is another luxury condo along the Jupiter-Juno Beach strip. You will find Juno Beach condos sitting right on the sand just like the Jupiter Island condos. Call the beachfront specialists to show you more Singer Island condos which is 10 minutes South of Jupiter or ask about Boca Raton oceanfront condos which includes Highland Beach. If you have questions, or would like to view condos in Jupiter Ocean Grande, please don't hesitate to email or call Jim at 1-561-744-7025 for assistance. Jupiter Ocean Grande Condos:Jupiter Oceanfront Condos by Jim McLane. See his profile on Google.